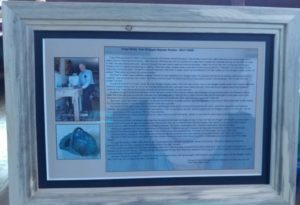 A Dedication of Memorial Plaque to Fred Wills was installed on Sept 9, 2017. It was placed on the wall of Anne Van Briggle’s Studio in the Memorial Pottery building. Fred began his career at this same location in 1947, having been recommended by his uncle, Otis Wills. Fred learned from Clem Hull, how to throw a pot in under one minute for the visitor tours! During his 41 year tenure at VBPCo, he threw thousands of original pieces on the original kick wheel. Fred retired from full-time work in 1988, but he continued to assist and advise until the pottery closed in 2011. Fred had a potter’s wheel and kiln at home. 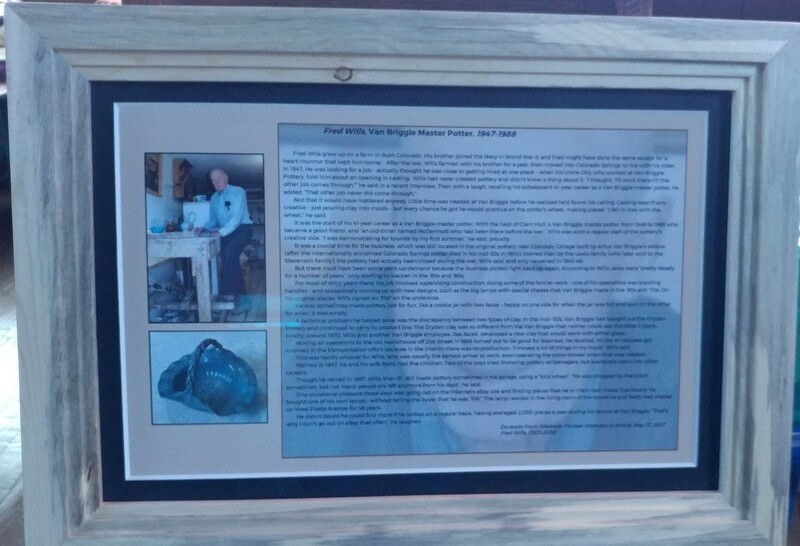 He made beautiful pieces for family and friends until the last week of his life in November 2016. Anyone who knew him, loved him, and misses him! 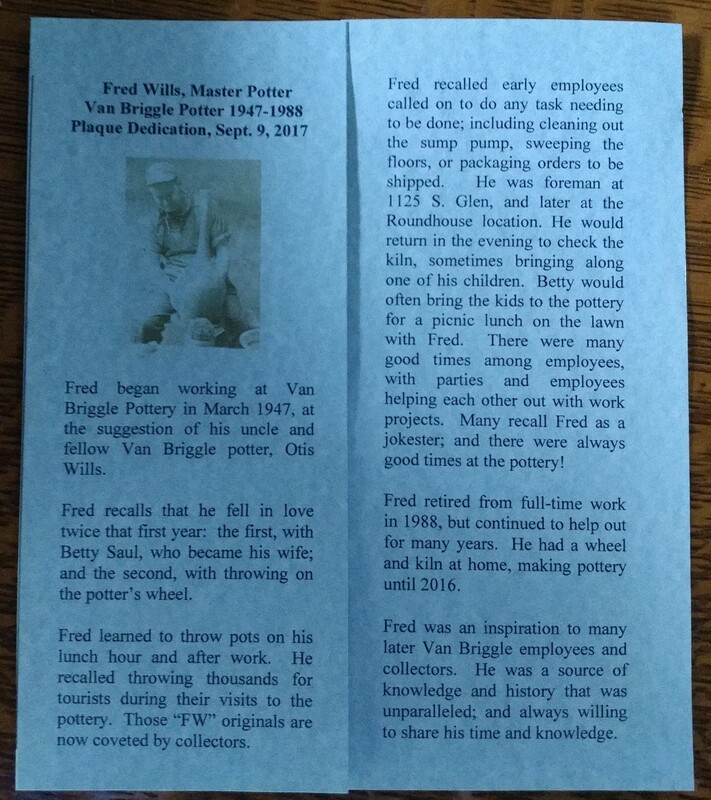 Would have been amazing to see the the potters make a vase at Van Briggle company back then in person! I can only imagine! 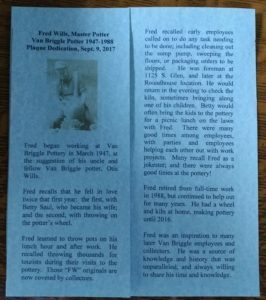 Just found out that my most treasured Van Briggle piece was made by Fred Wills. So excited to learn about him. May have even seen him demonstrating his craft when we toured VB in 1970-71. Thank you so much for sharing this information.